Usd/Jpy - Buy the dip! After the perfect swing low of yesterday (see related chart) It just did a lower low, so following the Dow's law, we are in a bearish trend so I will look to sell (never try to catch a falling knife). 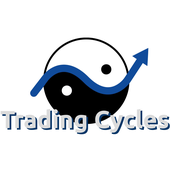 Hurst cycles suggest around Monday of the next week. GBPUSD respect the market timing (weekly hurst cycle) for the 66% of the times in the last month. Is going to repeat itself? Weekly cycle is bearish. (Grey) Resistance at 1.1085 Weekly cycle's moving average as dynamic resistance. I'll try to sell the high of the daily cycle. Static support Head & Shoulder End of the trading cycle The Stoch has already done a higher high What else? Gold is getting closer to the end of its monthly cycle (386 periods H1). Keep an eye on the support 1.315 within the established dates. Eur/Usd is close to a bullish trendline, if it holds, there will be a high probability turning point which could close the continuation pattern.